Fabulous brick home on the bluff of the Mississippi in the West Hill Historic District! If you&apos;re looking for river views this property has them! 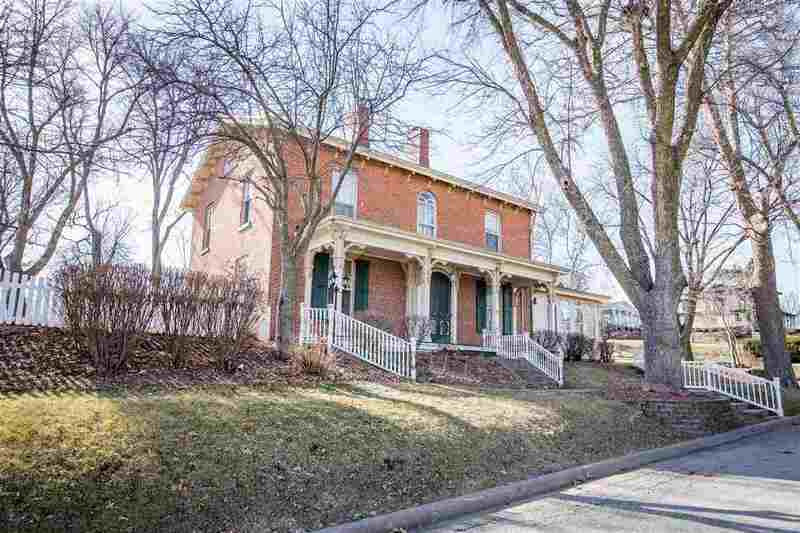 This home was built in 1854 and has been nicely updated while retaining the original character and charm. 5 bedrooms, 3 updated bathrooms, 5 fireplaces. 3-4 stall garage with HVAC and loft. The yard is wonderful, with a brick courtyard, irrigation system, kids playhouse with electricity, awesome views of the river and Illinois, and is completely fenced.